Support available to ScoutSMART users. Customer support is a priority with ScoutSMART, please read the message from the creator of ScoutSMART explaining our customer support. 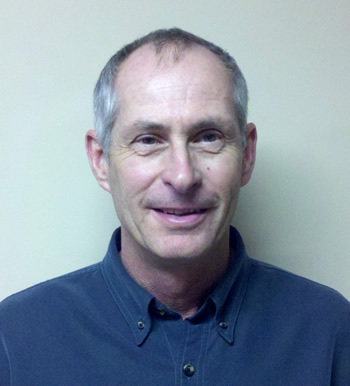 My name is Mark Kottmeyer and I have operated my own crop consulting business, Central States Agronomics, Inc., located in Kearney, Nebraska for over thirty years. The look and feel of ScoutSMART has been shaped and formed with the help of my long time employee, Todd. The internal structure of the program as well as much of the shape and form of the program was developed by John who also does crop consulting work through the growing season and then provides his abilities as a computer consultant in the off season. Todd and I have been using ScoutSMART in our consulting business since 2009. We continually make ScoutSMART easier to use each year. 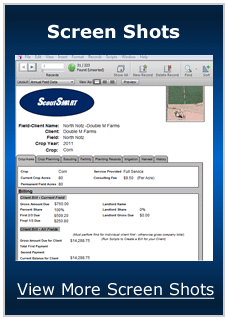 In 2010 we allowed two of our colleagues in Nebraska to use ScoutSMART in an initial test market trial. 2011 found us marketing ScoutSMART more aggressively and we offered 25 licenses for sale to fellow crop consultants in Nebraska. We found that ScoutSMART was intuitive and easy to use for all of our colleagues. Only a minimal amount of product support was required. ScoutSMART is embedded with Help Files and on screen instructions to guide you as you dive into the program. ScoutSMART customers will benefit from timely emails that encourage and remind them to use the many features that the ScoutSMART package has to offer. By all means you can always contact me personally but I ask you to be aware that I am a practicing crop consultant as well, and in the spring and summer I may be moving from one field to another on my Honda and may not hear the phone ring - but I will get back to you ASAP. There is no off-shore help desk – you get to visit with the architect of the software when you have a problem. I enjoy helping my peers and I will get to you as soon as I am able. Thank you.